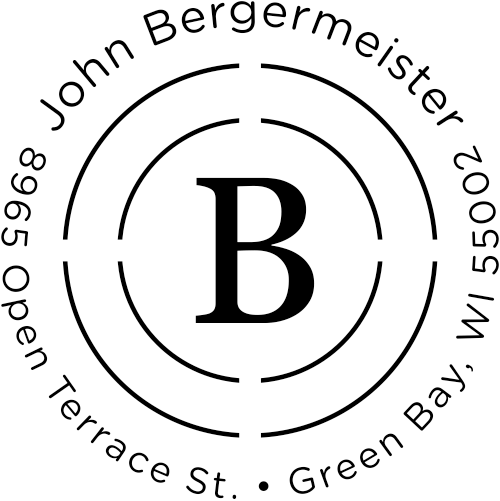 Adeptly made by our group of hardworking workers and sent out to you as quickly as possible, this Bergermeister Orbit Return Address Stamp will add a striking style to all of your outbound mail. 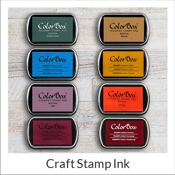 Readily available in a range of colors, this is the ideal custom stamp for your desk. 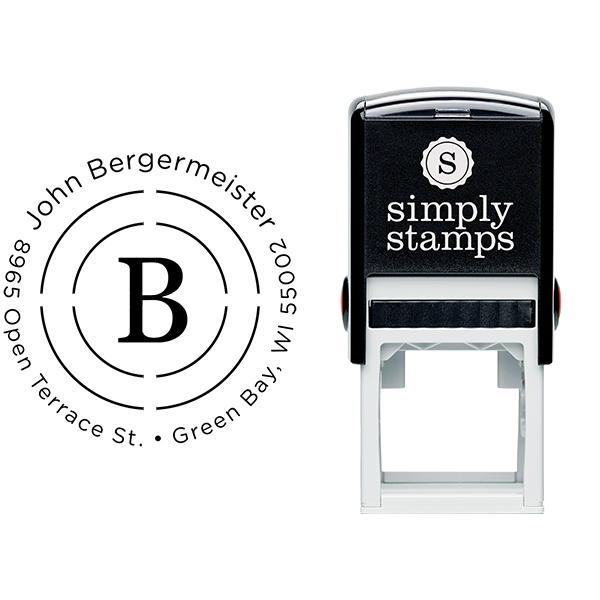 Purchase your own traditional address stamp now! 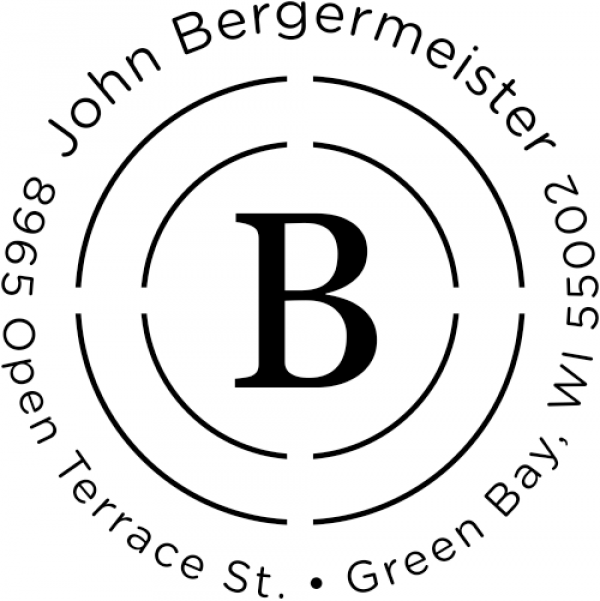 Bergermeister Orbit Return Address Stamp Details Come see this brand new Bergermeister Orbit Return Address Stamp! 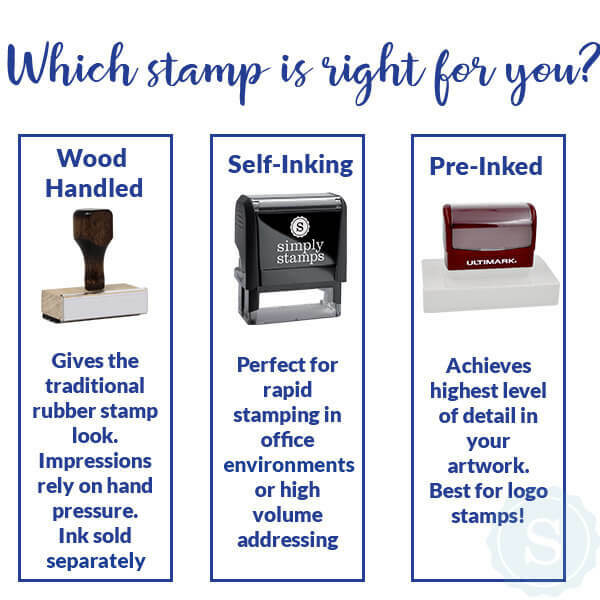 Produced just for our awesome customers, we have more than enough stamp styles to aid you get a hold of your dream match! 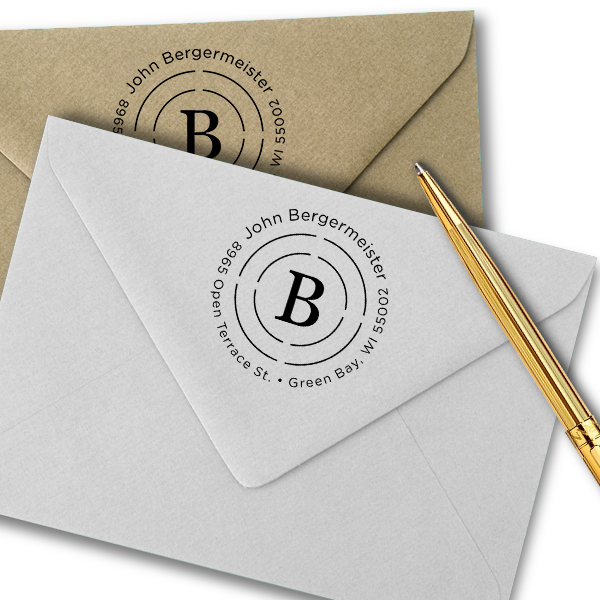 Each of our custom address stamps has been skillfully crafted by our skilled production staff and designers. 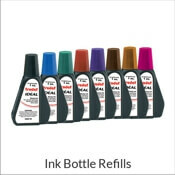 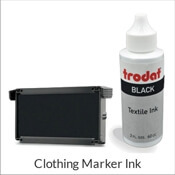 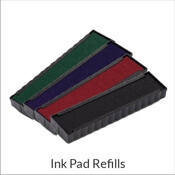 Available in a assortment of dimensions and ink colors and terrific to help you get all of your mail in half the time! 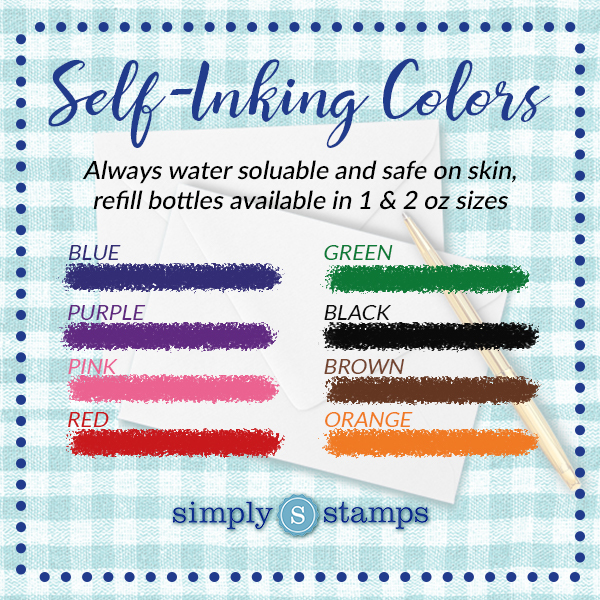 Each and every of our self inking stamps are made of high grade part sure to give you with the best achievable impression over and over! 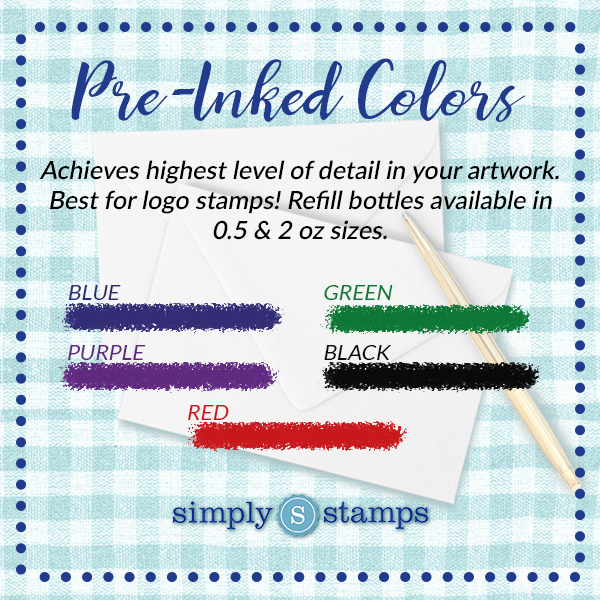 Order your brand new custom stamp here!